We have the blue, the yellow and what will be next in line? In time, you will find our fellow Autobots in the new Prime series having distinguished color of their own. And what you will be seeing here today is our Mr. Red who jumps off the cliff. 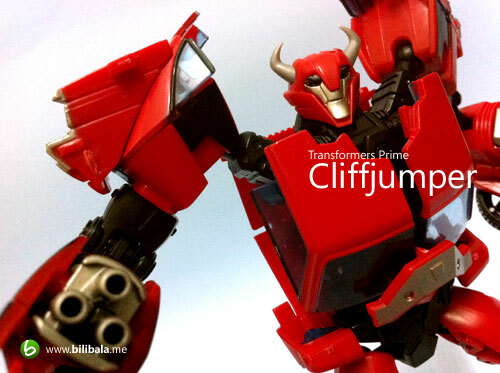 Well, his name is Cliffjumper by the way and this time around he is not your Bumblebee twin. 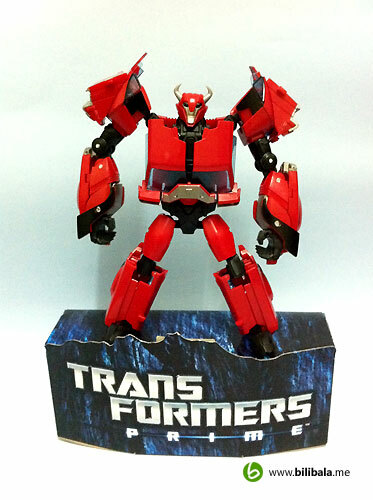 It is actually a great relief to see Cliffjumper actually has started to live on his own mold instead of repaints of Bumblebee. 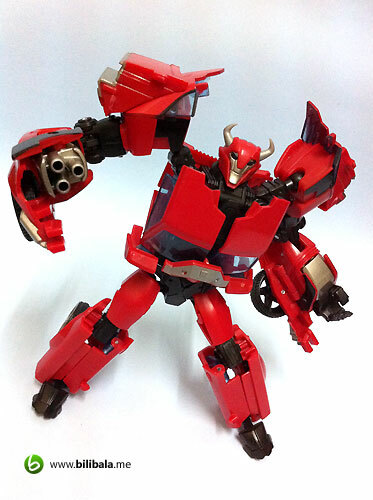 All my impression before this is just, okay, another repaint of Bumblebee, but in red, we have Cliffjumper. 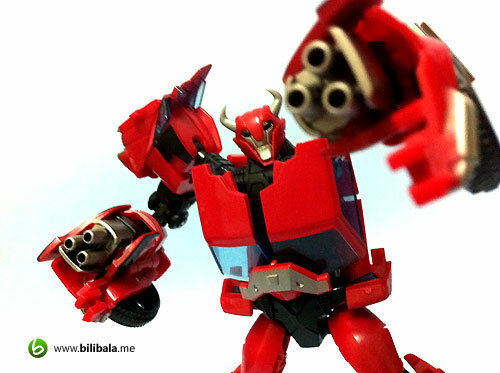 It is like when mentioning Cliffjumper, the “twin” of Bumblebee keep floating in my mind. 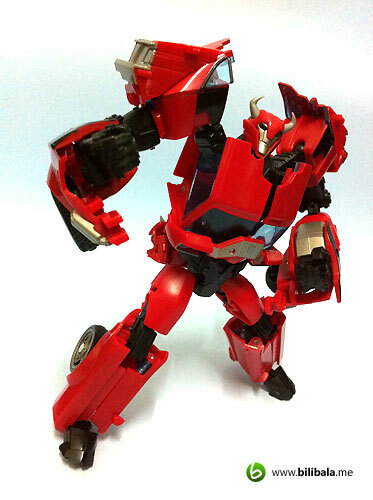 And NOW, finally, the designer has really put their creative juice at work in coming this new mold so that he will not live in the body shell of a repainted Bumblebee anymore. Read on! 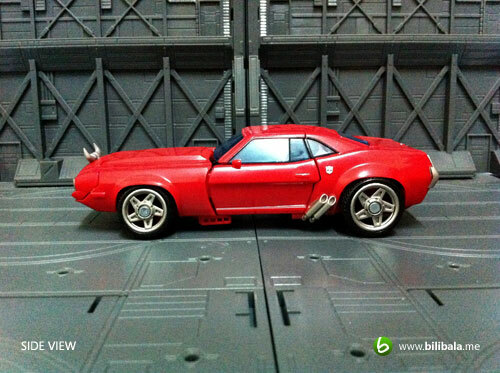 The alt mode for Cliffjumper is an American muscle car. 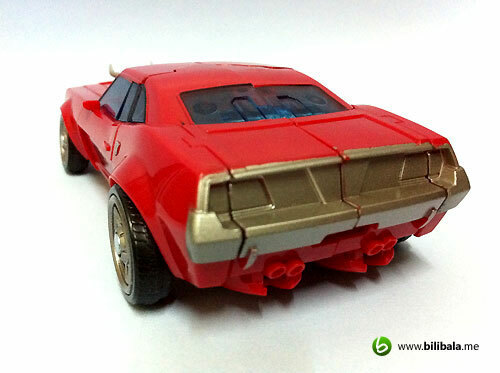 Much like a crossbreed of the rear Plymouth Barracuda with the front of a Dodge Challenger. 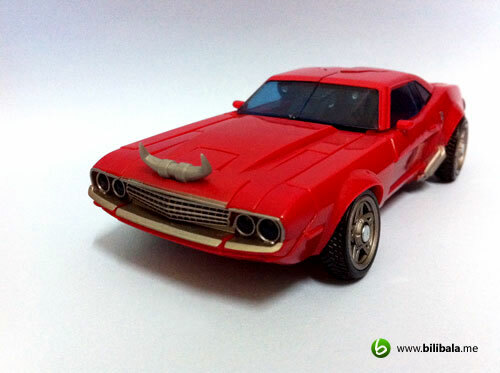 Of course, with a twist of uniqueness, you will get to see bull horns sticking themselves out of the car hood. Much appropriate to suit it with the robot headpiece design later on. 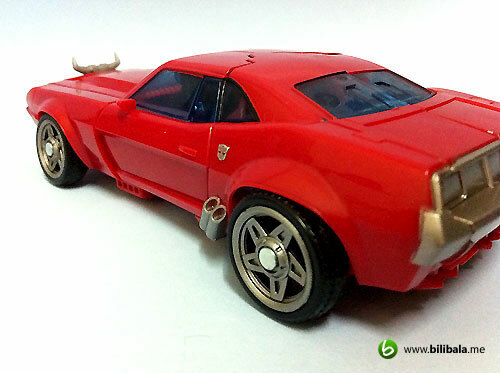 Though looking solid and though, the horn is actually soft and bendable. 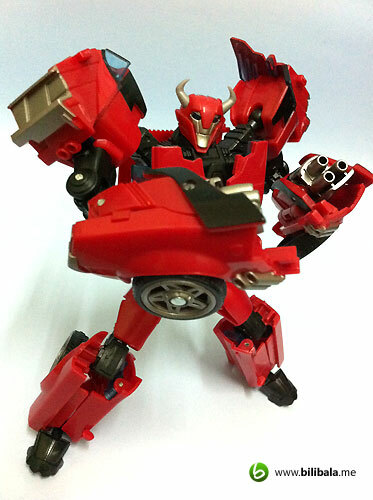 The entire body of the alt mode is in fiery red with metallic silver color and black as the secondary color. Almost all grey color you saw in this figure is being painted with metallic silver which is another great plus point for him. As for the black color, most of them remain the raw color of the black plastic and no paintings are being done. I personally like how they painted the front ventilation grill of the engine. It does give vibrant details and bringing itself as closely as the tv series would be. Moreover, though you can’t see it in the picture clearly, both of the headlight are actually made of light blue transparent plastic (instead of cheap paintings). In order to juice up more about the details, Hasbro has also gone full fledge of using light bluish transparent plastic for all the car screen. 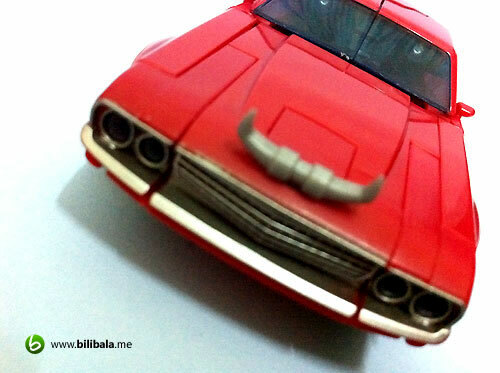 This really make you happy just by admiring the amount of details the alt mode has to offer. 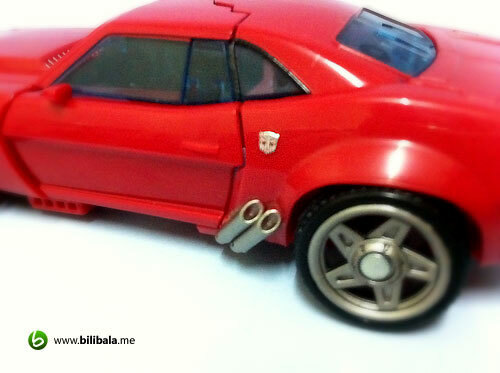 All rims and the exhausts are carefully painted in metallic silver. QC on the paint is superb. Definitely no paint chips for mine. Another plus point worth mentioning is, the tiny Autobot insignia (just above the exhaust) is actually imprinted clearly on the surface. Though is tiny in size, you can see every line of the insignia as clearly as you are seeing a small black dot on a white paper. Well, do admire more about it as this will be the ONLY (and tiny) insignia you will find in him. The treatment for the rear section is “almost” nicely done with metallic silver painting to the rear lights. BUT, not the additional muffler at the bottom of the car. Ran out of paint i wonder? 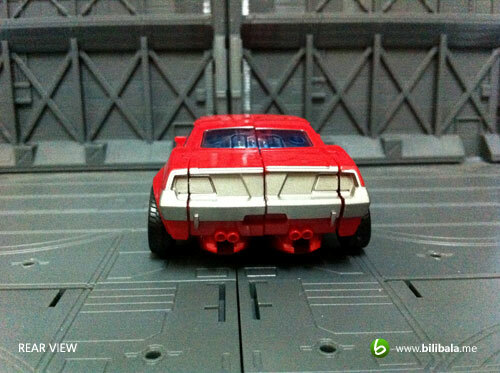 And definitely you wont be the seeing the red rear lights painting as in the tv series. 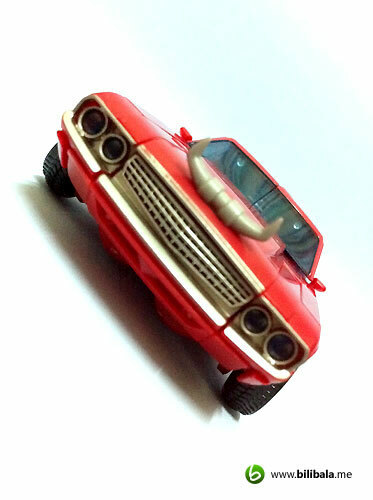 Just plain, fiery red plastic. No additional treatment can be seen from top. 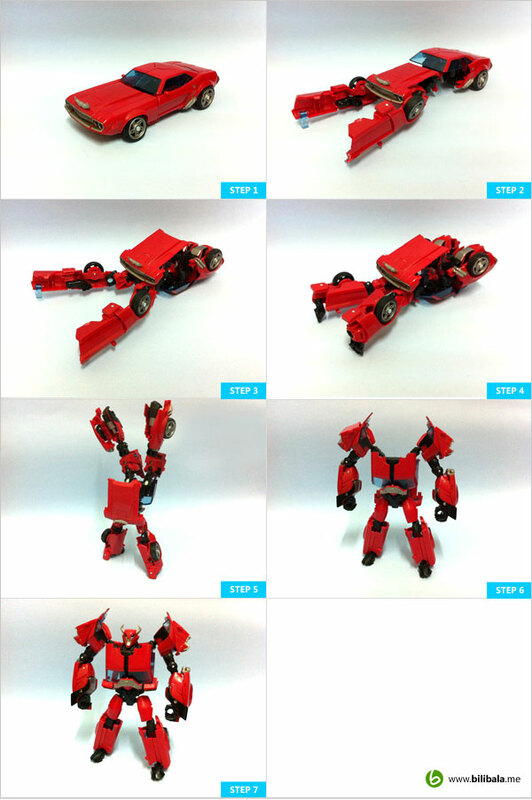 Let’s move on with the robot mode. 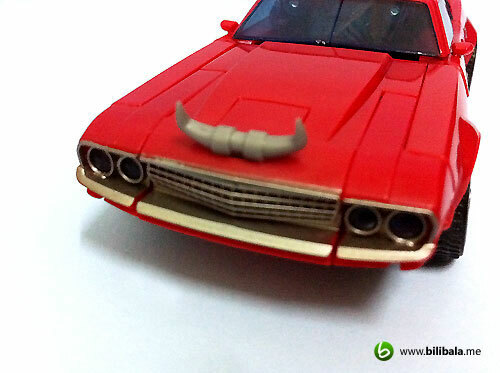 Well, the design of the bull horn has carried forward to the design on the headpiece of Cliffjumper. This somehow gives me an impression on him being wicked (which explained the zombie version of him in the later episode). 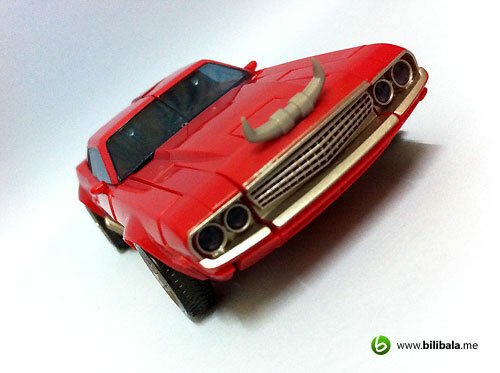 Anyhow, he does look cool and unique with the cute soft plastic bull horn. Articulation on him is quite moderate and as good as Arcee or Bumblebee. Apart from the standard articulation you will have for all the limbs, you still have the swivel ball joint for his neck BUT with limited horizontal turning. 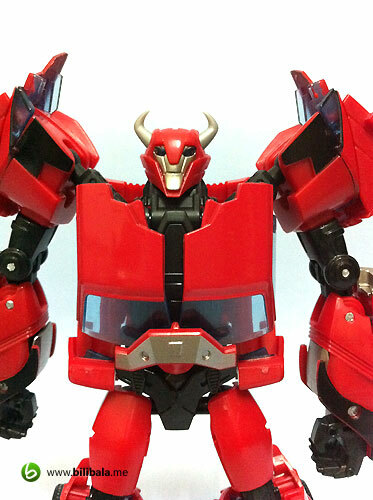 This is due to design on both of the robot cheeks which blocked the left/right movement to a further 90 degree turn. The most you can do is a mere 25 to 30 degree turn. In additional, there’s no waist articulation for this guy, so there is no way to move his upper body without turning the entire body. 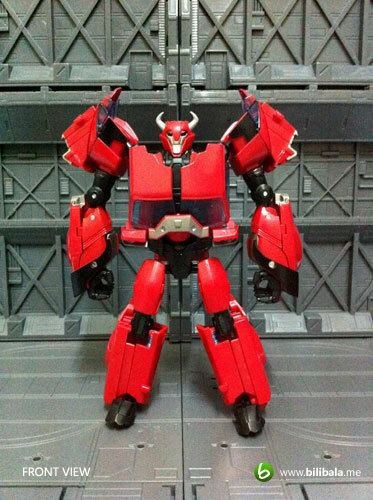 For the body to weight proportion, Cliffjumper has also do away with backpack design. However, the bigger upper body as compared to the smaller legs, the figure is sometimes difficult to be posed with more fancy pose (e.g. the kicking position). 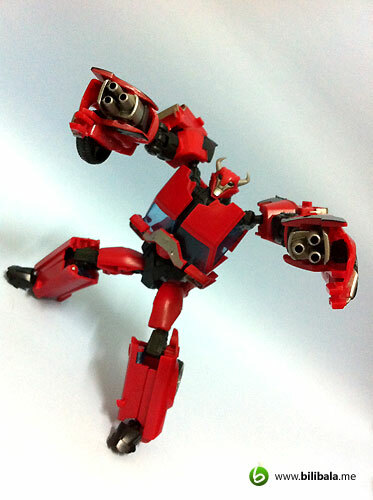 But overally, he is still a very sturdy and solid figure who can’t kick, well, at least, i can’t make him to kick. 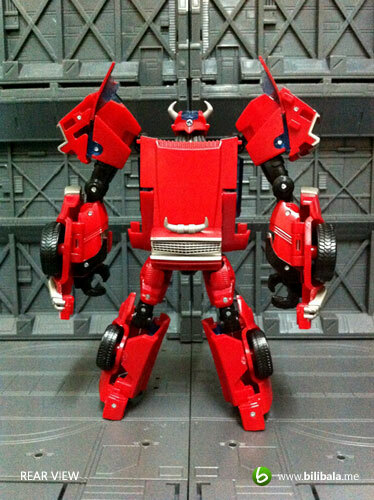 As mentioned, there are no other BIGGER Autobot insignia in the robot mode. 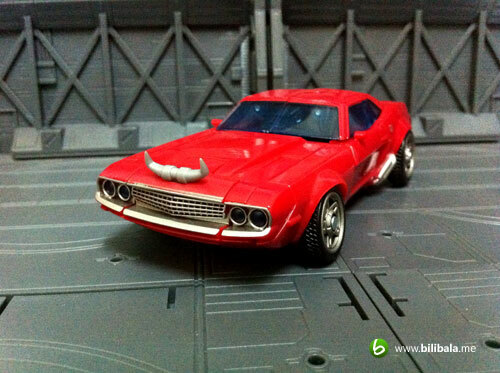 The only insignia is the smaller one you have seen earlier in the alt mode. However, if you notice more carefully, there’s actually an additional sweet spot to put in the cool insignia which is on the waist section (pic below). And in fact, i have noticed some very light red paint leftover on the spot (can’t really see in the pic), which i suspect the initial (or additional) insignia will be here. Well, i guess Hasbro forgo the idea of having 2 insignia due to redundancy or cost increment. Well, here’s a weird sight for him. 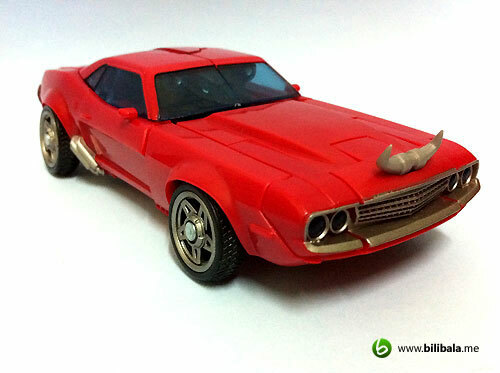 The “other” bull horn (which originates from the car hood) now seem like a tail to this macho Cliffjumper. Kinda funny to find 4 horns sticking around…. which make him a “horny” robot, perhaps. lol. Most of the black color are raw color from the plastic itself, so additional “flavoring” (ahem, painting) to them. 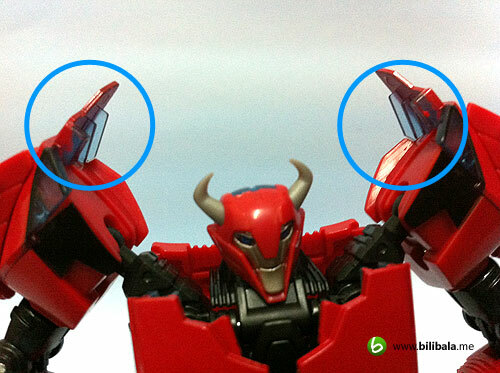 Another point worth mentioning is, Hasbro has used transparent plastic for the “shoulder guards” (not sure what to call it – pic below) located on the shoulder of Cliffjumper. In turn, this adds another plus point to the details. 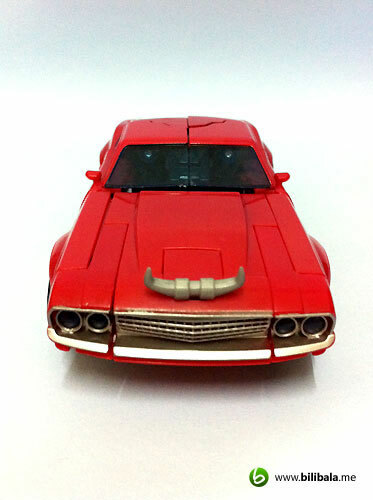 Here’s a closed up shot for Cliffjumper. Great head sculpture but with eyes not as shine as it lids compared to 2 of the previous Prime toys. Light piping not doing his job here. 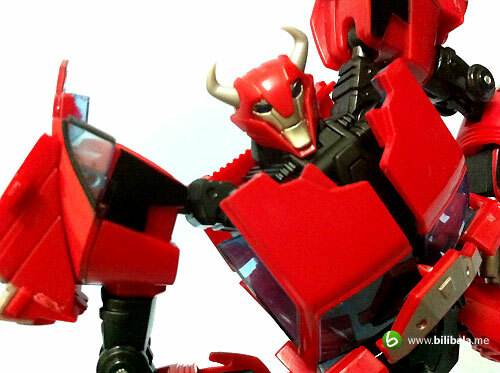 Personally, i just feel the headpiece of the Cliffjumper doesn’t have the “soul” and “emotion” like the Arcee and Bumblebee, maybe is because of his eyes not light up? lol. Transformation is intermediate and yet annoying for first transformation. 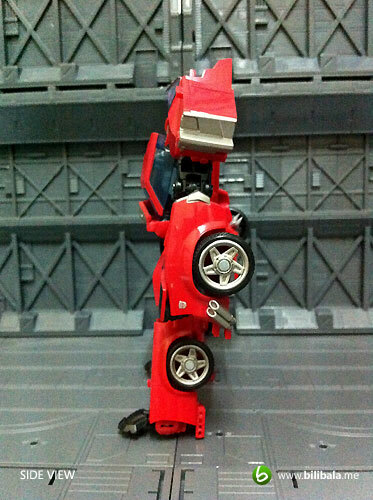 This is especially true when you are changing back to robot mode from alt mode, certain parts need to be aligned properly in order to get the nice alt mode (with lesser gap in between parts such as the car hood and the side windows). But as long as you transformed more, you will be like a pro ( it took me 5-6 times transforming it to really get used to the transformation alignment and sequence). 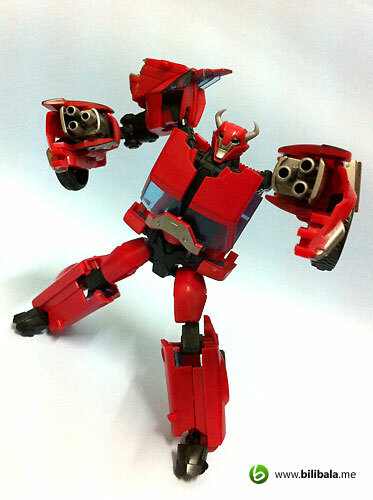 Feast your eyes on the powerful engine of Cliffjumper! I like this first picture, i have edited the picture to give a bit grudge and old style looking feel (not overdoing it). Classic car but with modern rim. Nice! Another one of my favorite shot. 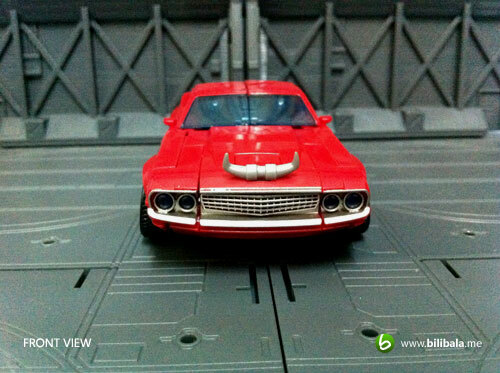 This angle put more emphasize on the front ventilation grill of the car. Can you hear the engine rawr-ing? 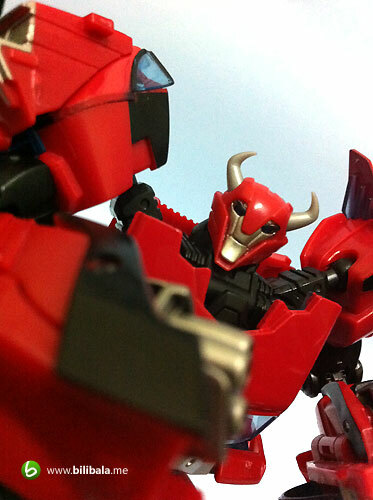 A trial closed up shot on the Autobot insignia, but end up failed due to the limit of my camera macro shot. Oh well, a sign of new and better digital camera is required perhaps? 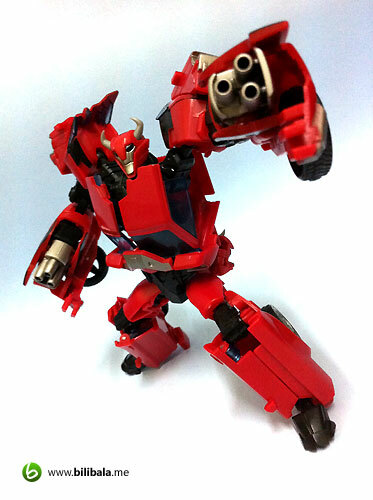 Now, random shots on the robot form of Cliffjumper. 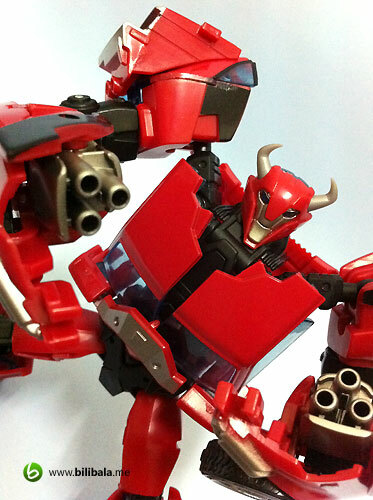 Eat this, you punk vehicon! Do i ever need backup? 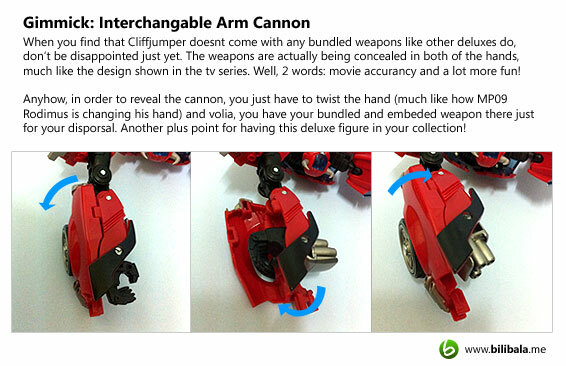 You wanna see my cannon? Yea. Here you go! Can’t see clearly? See more! 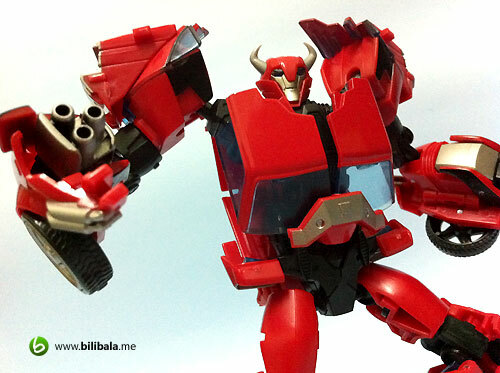 My favorite shot for robot mode. I like the angle with his headpiece and his ion cannons all in one scene. 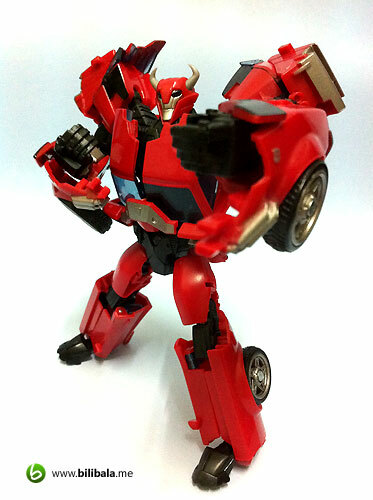 Overall mold for the new Cliffjumper is very satisfying and definitely looks stylish in anyway he posed. However, the annoying initial transformation and the limitation on the head joint does contribute a bit of my dislike over him. Is more like a love and hate collection. 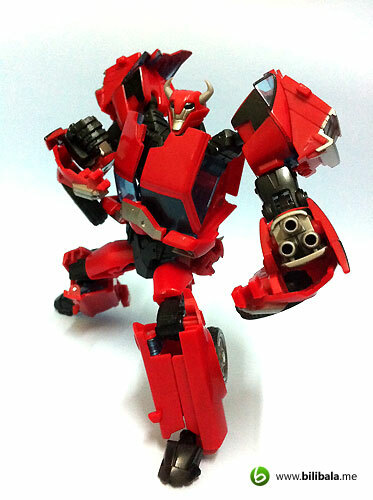 Moreover, i found the joints for him is relatively loose just right out of the box. Not sure whether is it just mine or other will suffer the same fate. What I like – Cool mold, nice design with movie accuracy (especially the hand cannon gimmick), great metallic silver painting and minor details. 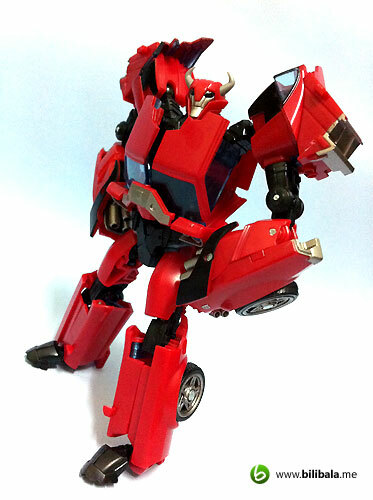 What I dislike – Not so decent transformation experience and lack of movement on headpiece + absent of waist joint. 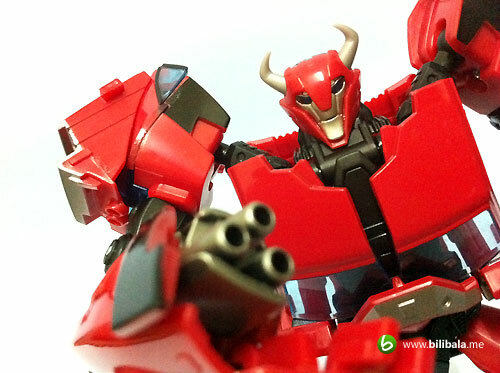 Lifeless “eyes” with emotionless headpiece as compared to the previous Prime toys i have. Relatively loose joints just out of the box. With the 'compromised' robot size for TF Prime and DOTM lines, Hasbro attempts to workaround with included paper stand, at least, to maintain deluxe class blister card packaging. Have you guys ever thought of keeping the paper art (the card back) with the use of paper stand ? All these while, I believe many of us (who opened up the toy to play with it) should have thrown away the nice paper art after opening...unless you're MOSC fan. In the first episode, I saw there are 2 insignias, 1 on each hand. Unfortunately, this toy only comes with only 1. 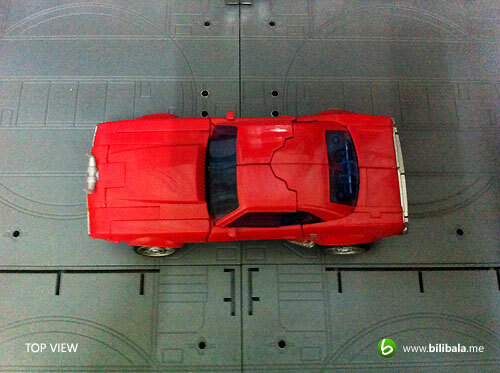 However, it is still a great mould, with great alternate mode.